Don't miss seeing this beautiful, well cared for riverfront estate home. 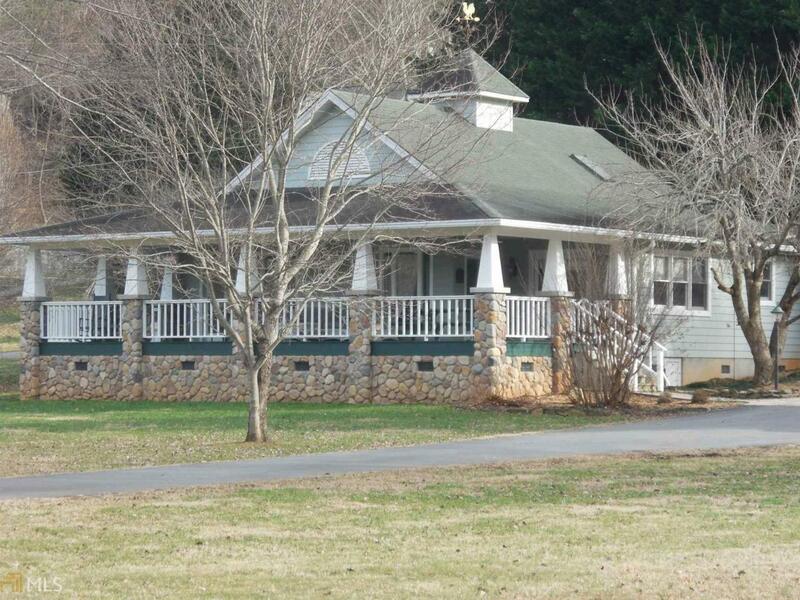 You will enjoy sitting on the wide front porch, enjoying the view of the river. The over-sized living/dining with cathedral ceilings & gas log f/p is a great gathering place for family & friends. The island kitchen has plenty of cabinets and counter top space and includes all appliances. There are two large bedrooms, each with a private bath & one has views of the river & French door access to the front porch. Off the kitchen is a bonus room (nice den/office) with entrance off front porch. There's a mud/laundry room connecting kitchen to garage. The detached studio w/half bath would make excellent craft space or home office. The 2.24 acre lot is level with plenty of room to garden.